Floor-to-ceiling windows create a seamless link between the inside and outside. On the eve of Einar Johnson’s final job interview with the Eaton Corp. in Irvine, the aerospace executive Googled “architecture in Orange County.” The first thing to pop up was a 1964 George Bissell concrete home in Laguna Niguel. 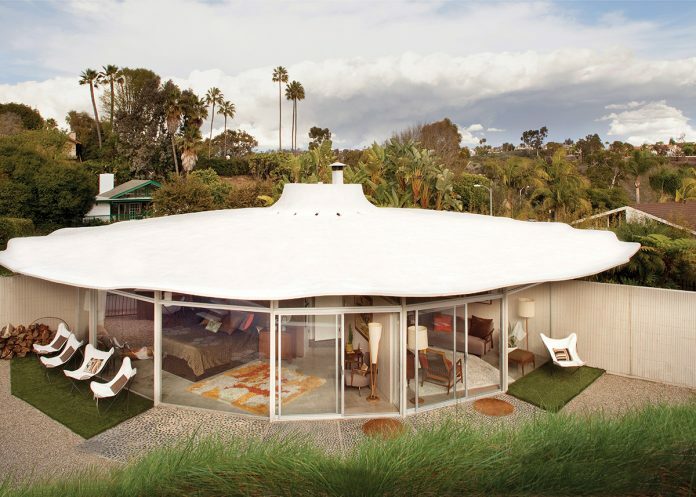 Known as a Horizon House, it was part of an early ’60s nationwide effort by an association of cement companies to introduce creative ways to use the product, and show that a home could be built inexpensively with it. The built-in four-burner stove retracts when not in use. Stools sit atop a radiating pebble floor in front of the hearth. 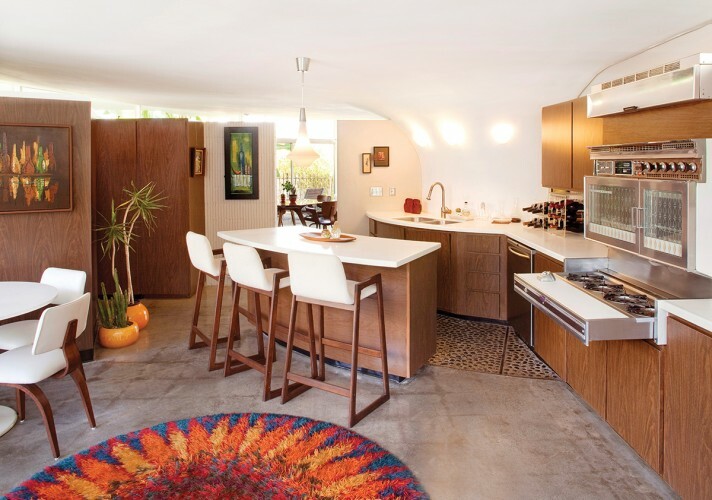 Elsewhere, they stripped the cabinets that the former owners had painted in a kitschy Palm Springs turquoise-and-white color scheme, then added new doors made of wood-grain Formica, the original material. 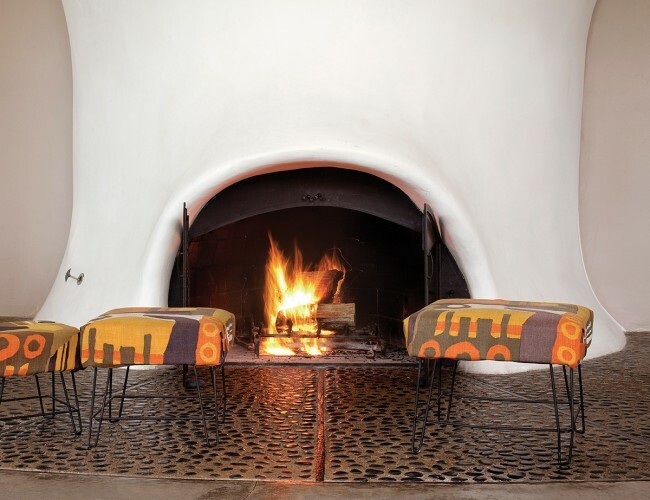 They also removed paint from the sides of the nifty, pullout O’Keefe & Merritt vintage stove that “still works perfectly,” says Gough, as well as the shag carpet that covered the concrete floor in other parts of the house. Era-appropriate furnishings decorate the 1964 George Bissell Horizon House. The owners stayed true to the midcentury look, appointing the interior with period furnishings they found on eBay and at various flea markets. 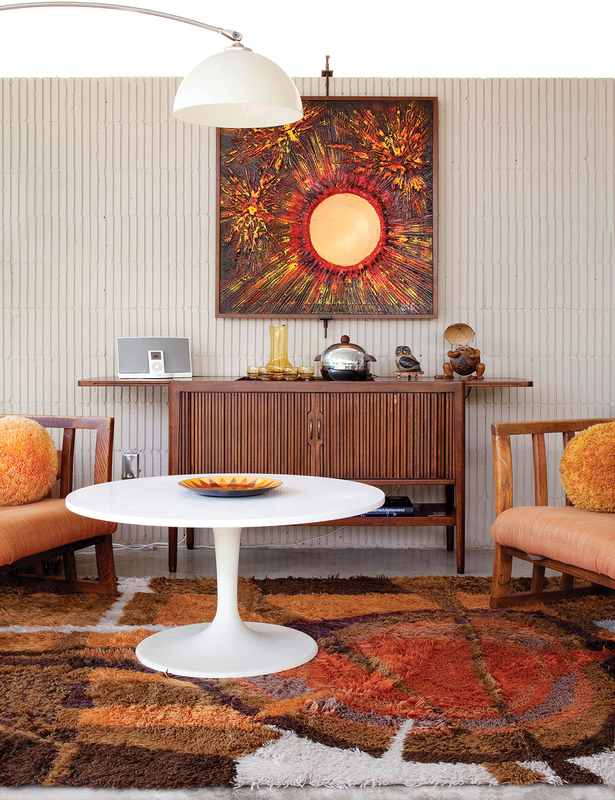 Their first acquisition: a ’50s teak bar with a tambour door that echoes the vertical grooves of the living room’s concrete-block wall. 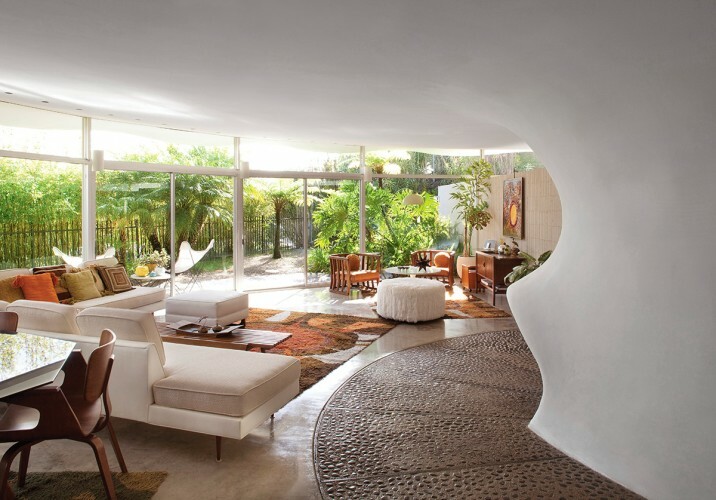 They also bought a low-slung ’60s couch that hugs the curved room. 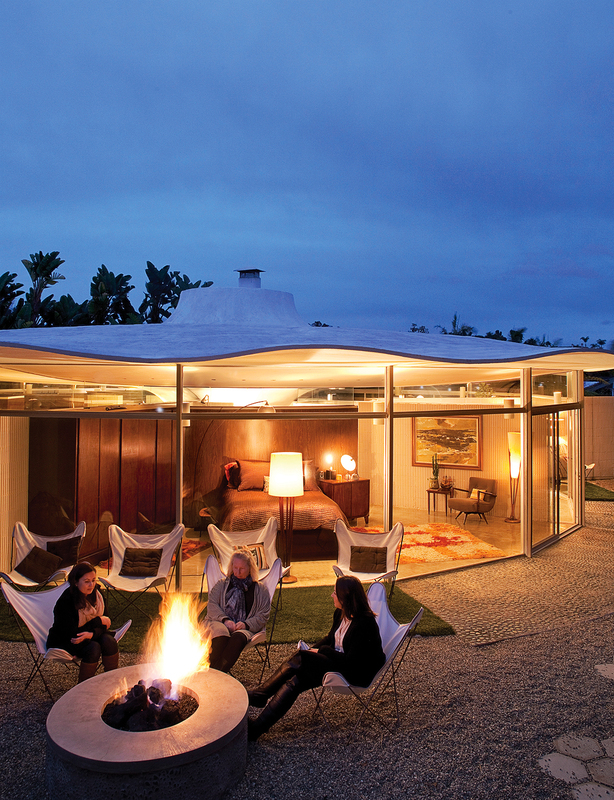 Next articleHow many Laguna Niguel fireplaces do you get for $4.4 million?